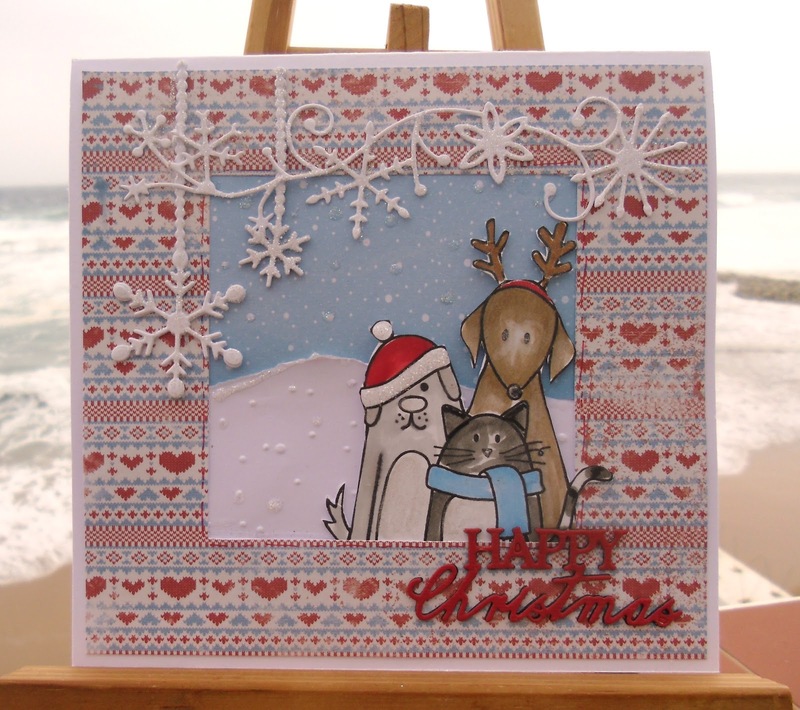 What a super card Sylvie, I love the snowflake die cut across the top, so pretty and delicate. A fabulous Christmas card Sylvie, such a sweet image and pretty snowflake border. Fabulous card Sylvia, great take on the challenge. The trio are such cute critters! Thanks for commenting on my blog post, greatly appreciated. These papers look beautiful together and with such a fun image too! Bravo!! I love this Scandinavian look. A super card . Now I never even thought that embossing plain card would be a pattern in itsself. Must try thinking out of the box more. Hugs Mrs A.